It's that time again, friends! 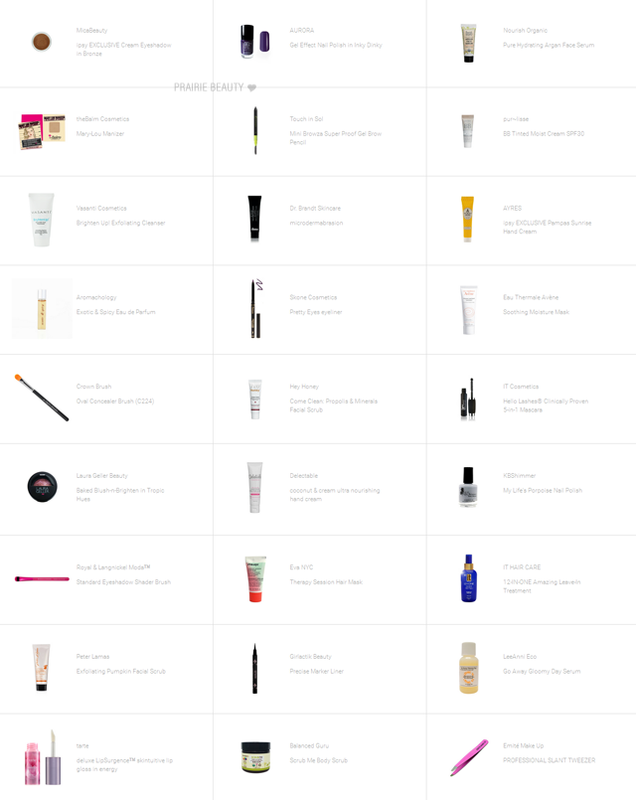 I was considering not doing these posts anymore, since anyone can look at their glam room and see what they're getting... but then I thought that maybe some people read this because either A) they aren't signed up to Ipsy and want to see everything on offer this month, or B) they don't want to be spoiled about what they're actually getting but they want to see the options. So... I'm going to keep doing them because I know a lot of people are reading these posts, but I'd love to hear in the comments what you think about monthly full spoiler posts! Moving on... Keep reading for a look at what's in this month's bag! This was the first spoiler that came out this month and it had me VERY excited. 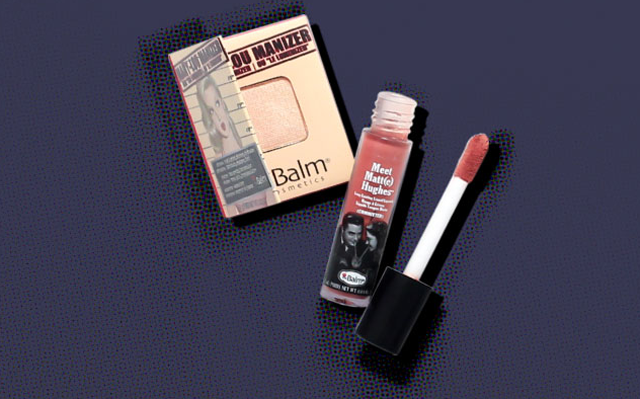 I've been going back and forth on whether to order Mary Lou Manizer, because even though I've swatched it about a million times I've never actually seen how it looks on my skin, and I've also been very curious about the new matte liquid lipsticks that theBalm released, so this was really a win/win. Of course, based on the picture it would appear that the Mary Lou Manizer sample is going to be TINY like the Balm Desert one... but I don't mind it as much with a highlighter. Also, could easily be used as a shadow. So which am I getting? Let's take a look at my bag, shall we? Okay, so... Um. I hate this month's bag. I really, really hate this month's bag. But I loved last month's bag, so I guess I can deal with a bag I hate this month. I'm really excited for 3 of my samples and not so keen about the other 2. Can you guess??? Excited for theBalm, DOSE, and LAVANILA. Want to pretend I didn't get ANOTHER black eyeliner. And have every intention of giving away the lotion because I LOVE FRAGRANCE. But, still pretty happy about the bag, not gonna lie. 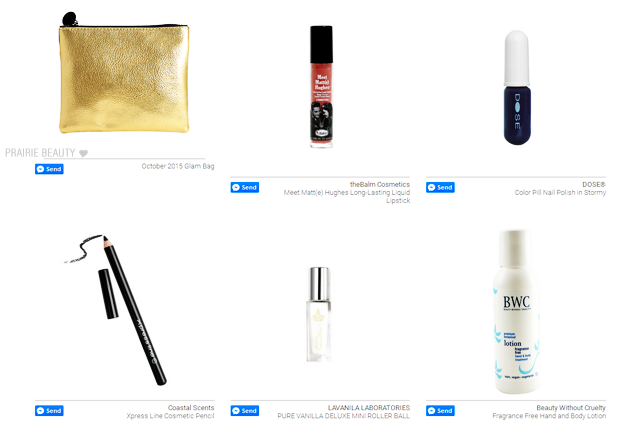 Let's take a look at the rest of the products featured this month, shall we? So... Do I wanna do a dream bag? Why yes, yes I do! Wouldn't it be amazing if we could have the option to build our own bags from the products that they have for each month? I would imagine that a lot of things would sell out really quickly... but it would be an interesting experiment! 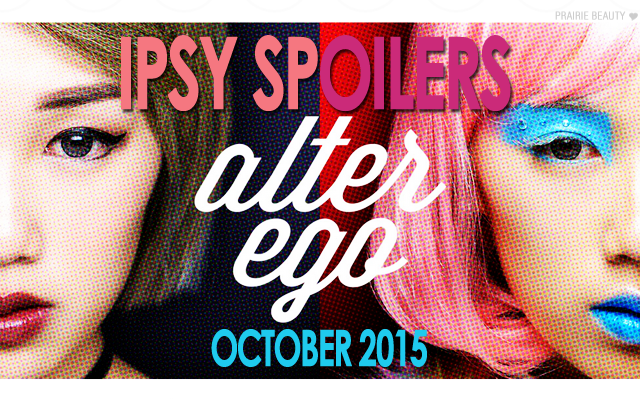 Anyway, that's it for this month's Ipsy spoilers! 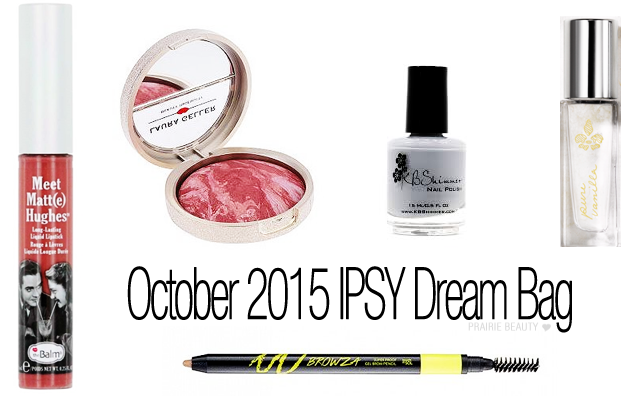 Keep an eye out later today for a look at what I'll be getting in my October Birchbox... I have no choice but to share because I am SO EXCITED about it!